Electronic equipment at the Cape Canaveral Air Force Station Launch Complex 14 Blockhouse, mounted in racks similar to the way modern computer servers are, was used to monitor the rocket during Project Mercury launches. Instead of digital readouts and big screen displays, this equipment used various gauges to display readings and dials and buttons to adjust the equipment and the rocket. 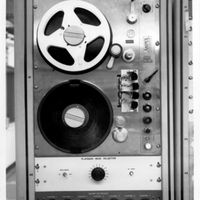 Ampex made magnetic tape drives and recorders, which were used to record data and/or audio. 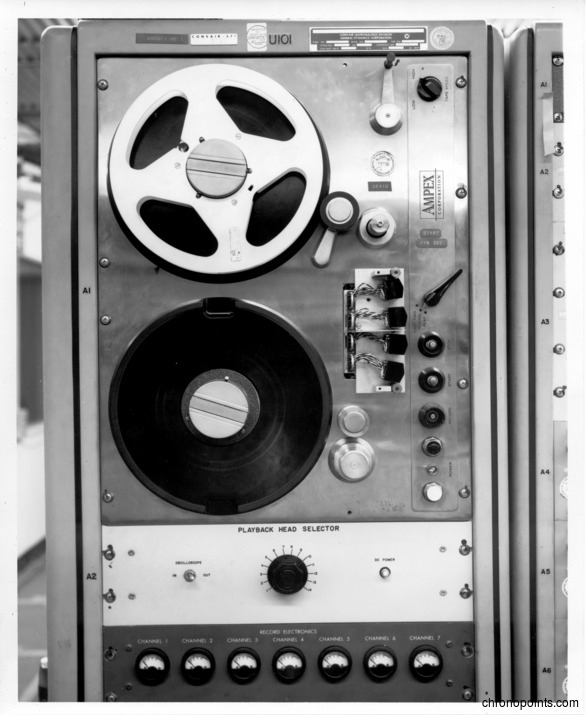 “Playback Head Selector Equipment at the Cape Canaveral Air Force Station Launch Complex 14 Blockhouse.” RICHES of Central Florida accessed April 24, 2019, https://richesmi.cah.ucf.edu/omeka/items/show/4989.